Quick overview The new edition of this leading guide helps students to develop reflective thinking skills, improve their critical analysis and construct arguments more effectively. Easy-to-follow, step-by-step explanations along with plenty of examples and activities develop understanding at each stage. Includes a brand new chapter on employability. 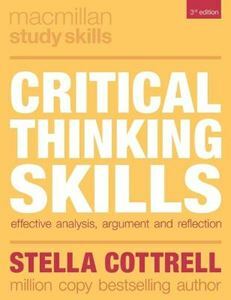 The new edition of this leading guide helps students to develop reflective thinking skills, improve their critical analysis and construct arguments more effectively. Easy-to-follow, step-by-step explanations along with plenty of examples and activities develop understanding at each stage. Includes a brand new chapter on employability.